For much of the 20th century, Haiti was under the control of the Duvalier family, headed by Francois “Papa Doc” Duvalier until from 1954 to 1971, the country was controlled with an iron fist. On April 21, 1971, power was turned over to the hands of Jean-Claude Duvalier, Papa Doc’s 19-year-old-son. Nicknamed “Baby Doc,” Jean-Claude became the world’s youngest president when he succeeded to the presidency following his father’s death. While Baby Doc’s rule differed from that of his father’s in certain ways, the Jean-Claude regime was marked by the continued violence against opposition members and the inefficiency that resulted from Baby Doc’s neglect of governmental responsibilities. 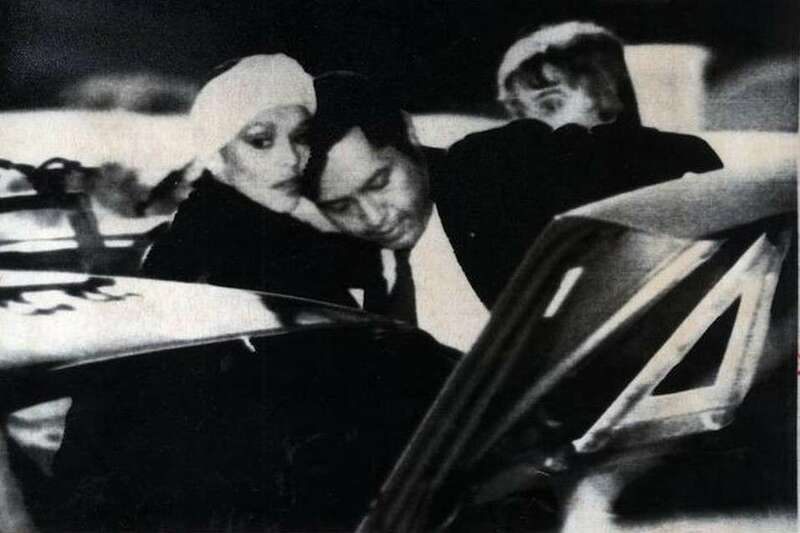 On February 6, 1986, after a late-night party at his palace, Jean-Claude Duvalier boarded a U.S. C-141 jet which took him and his family to France. Before boarding, Duvalier stated, “We are as firm as a monkey tail;” he remained in exile in France until 2011 when he returned to Haiti for the first time. Upon his arrival, Baby Doc was met with charges on various counts of illegalities, including human rights violations. He was sentenced and ordered to appear before a court in 2013, where he pled not guilty. 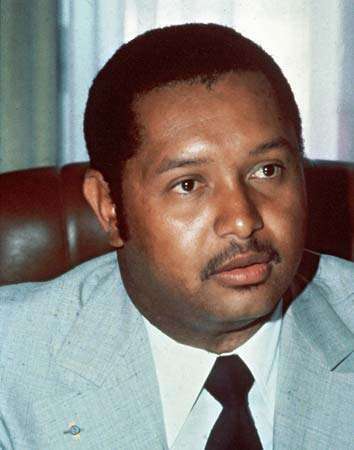 Duvalier died of a heart attack in October 2014 in his home. Clayton E. McManaway Jr. served as the U.S. Ambassador to Haiti from 1983 to 1986. In his interview, Ambassador McManaway discusses the political and economic situation in Haiti upon his arrival and how the Catholic Church and the international media began to push for change; the vast ramifications of Baby Doc’s extravagant $2 million-dollar wedding; and the eventual evacuation of the Duvalier clan, interrupted by a late night going-away party. 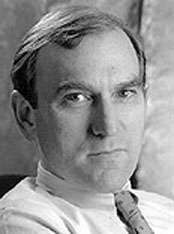 McManaway was interviewed by Charles Stuart Kennedy beginning in 1993. You can read about when the U.S. escorted Philippine strongman Ferdinand Marcos into exile. MCMANAWAY: There are two Haitis. 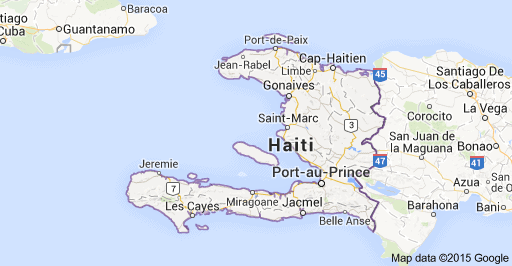 There is Port-au-Prince and the rest of the country. The rest of the country is in pretty dire straits economically as it has been for years. Politically it was like being dropped into some other century. I never quite figured out which century, but not the 20th. It was court politics, palace politics, which young Jean-Claude Duvalier had become quite skillful at. After his marriage, he had stopped traveling in the country the way his father had done and the way he had done prior to that. One of the ways his father had maintained his political base and his power was through what they call a Gromet out in the countryside. In every area there were these people who dominated things and made appointments, etc. It was through connections with those these people and other methods that Francois Duvalier used, and he used everything from voodoo to you name it, to manipulate the people. He was a mad genius at this. Jean-Claude Duvalier gradually stopped doing that, staying in touch with the people in the countryside. So you had a situation where he was concentrating mainly on politics in Port-au-Prince and would deal only occasionally with problems other areas. Most of his attention was on palace politics and the manipulation of the political powers that existed in Port-au-Prince by Duvalier. He did that through appointment of his ministers and letting one particular minister accrue more and more power until he got too much and then he would cut him off and get rid of him. But no one was ever out of favor, socially or politically, because you might need them later on. You might have to bring him back five years from now. There were only so many who were capable of doing the job. You may no longer be able to get your hand in the till directly, if you were no longer a minister, but you are never out of favor socially or politically…. Q: When you arrived there, were things in a state of flux at that time, or did some things start to fall apart as far as Duvalier later on? MCMANAWAY: In March of ’83, the Pope [John Paul II] had visited which I think is a marker, it’s one of several turning points. Because when he left he said: “Change must come to Haiti” in his remarks and the church became much more active. Here’s another irony of Haitian history. 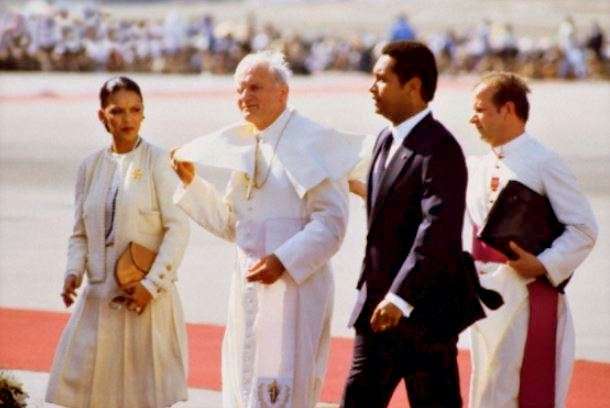 Francois Duvalier had deliberately set out to get himself excommunicated by the Church, which he did. He then renegotiated the concordat, he renegotiated this treaty with Rome, with the Vatican, in which he got the authority to name Haitian bishops and he got rid of all the French, foreign bishops. It was those bishops that turned on his son. His son was faced with a Haitian Catholic church, led by an Italian nuncio [Vatican ambassador], and he and I worked very closely together. But the Church became much more active, speaking out about the disparities in the society between the rich and the poor. Gradually about the Palace we had this combination of things taking place, these forces converging on Duvalier. The marriage was resented deeply by the military and by the blacks because she was as white as you are and Duvalier himself would classify as a mulatto. His father was black. There was resentment over the marriage. There was growing resentment throughout Port-au-Prince and wherever there were businessmen in Gonaïves or Cape Haitien of her father and his [greed]. It was gross, his corruption, his greed was one of the worst I’ve ever seen anywhere. It had become an ego trip because no one needs that much money. He was bragging all the time about it, [manipulating] foreign currency….It was outrageous. You had the Church speaking out against corruption and making the public increasingly aware of the discrepancies about their way of life and the rich people. And you had the U.S. government bringing pressure to open up the political process and for human rights improvements. These things were all going on at the same time; all this mix began to really become [critical]…. Where that was going to lead I didn’t know for sure. I was secretly hopeful without ever saying it to anybody that it would lead to the departure of Duvalier. I didn’t have any idea that it would actually happen. The reason for that I thought it would be a good thing is that Haiti has got too many people basically. It’s just a fundamental economic problem which is not going to be solved by Haitians. Now I guess they’re saying seven million, when I was there six million and on the east end of the island. You got the worst in the island. Two-thirds of that island is on an incline of twenty degrees or greater. The trees have been cut down, the land is washing away. It’s going to take an international effort to do anything positive about Haiti’s economic condition. As long as the name Duvalier was associated with Haiti, I didn’t think you could get that. I thought if you could get that name away out of here, then you could. And we did start it. As a matter of fact I did start it working behind the scenes, working with the World Bank, working with other donors, trying to get something headed in that direction. But I didn’t know what would happen and certainly when it did happen it wasn’t just our doing. What happened in the end, it got to the point where if we had a choice. If Duvalier stayed, it would mean the deaths of thousands of people, which would have driven us away from it. 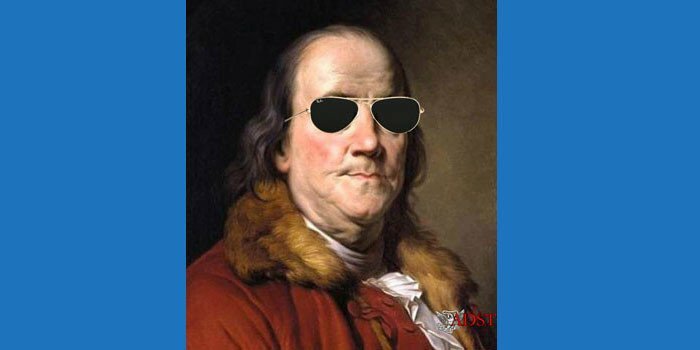 The position that we at the embassy took vis-a-vis Washington was: “Let’s not wait. Let’s not wait until we’re forced to pull back. Let’s pull back now. He’s gone; he’s finished.” Mind you this was right toward the very end. [This was] December, January . We started taking some deliberate steps which upped the ante and increased the pressure on Duvalier at a time when all the other things were beginning to come to a head. They made some really stupid mistakes which gives you an idea of their state of mind…. But the mistakes they made in May of ’85 – They had this huge big party. They invited people in from Paris and all over, a big thing. They gave door prizes and one of the door prizes was a $20,000 necklace. This was on TV. The Foreign Minister’s wife won the $20,000 necklace. This was all on TV and was shown all over Haiti. We couldn’t believe it. We couldn’t believe they could be that stupid. Later that year, in the fall of that year, they had run into foreign exchange problems again. They couldn’t pay their bills and there were gas lines. There was no gas, so you had long gas lines. In the middle of that episode, she flies off to what was billed as a $1 or 2 million shopping spree in Paris. Now this was in the context of bishops and priests’ talking every Sunday talking about this, and gradually it was coming home to people that the general disposition of the Haitians was that they were in the plight they were in because it was God’s will. It was fate…. But gradually they began to associate their situation with Duvalier. It was his fault. And then in December or so there was a shooting. Some students were killed in Gonaïves and it started downhill so fast, it took everybody’s breath away. The Duvalier mystique was gone. They were no longer afraid of him and at the same time they were beginning to blame him…. We were approached by the Tontons Macoutes [the brutal paramilitary force created by Papa Doc in 1959] leadership. We were approached by an old-line Duvalierist who had been out of power for a long time. We were approached by everybody. They all knew it was crumbling and they were stepping forth to see what they could do with it. They wanted to work with us…. Q: Was the message by this time, late 1985, “Get out!” or “You’ve got to make major reforms!”? If we didn’t back away, distance ourselves from it, we were going to be associated with that slaughter. We needed to convince him to leave because if he started slaughtering a lot of people, we’d have to move away from him anyway. To his credit [Abrams] came around very quickly overnight and I got my marching orders and I was able to be much more forceful when I went back…. We met with his various lieutenants and discussed it at some length and decided we would take a more aggressive stance. We would move to distance ourselves from Duvalier even further. So I was going to go back with a much stronger hand and at that point started passing the message that I began forcing the conversation on to options. What were his options? This gentleman, [Foreign Minister Georges] Salomon, was a brave man. His wife was dying of cancer at the time. He was walking through the dark corridors and he didn’t know if he was going to get out of there alive. They had crazy ideas. They wanted go to the UN with this [idea] and he had to stop that; they couldn’t do that. So a lot of his advice was most unwelcome. He came by one day and asked me — this was early one morning — and he said: “The president wants to know what you think? Q: Were you at this point saying: “You know, if you want to go we’ll help you get out? How was this put? MCMANAWAY: Very subtly but clearly enough. 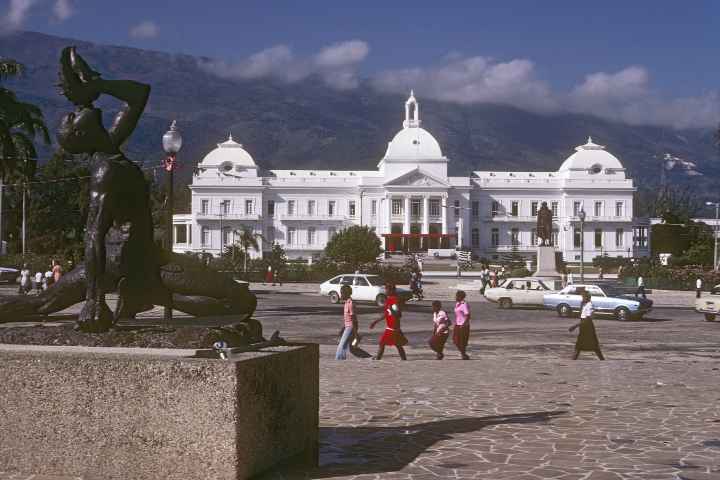 One of our nightmares was that Port-au-Prince would go up in flames. We were also worried about all the Americans living there, about five or six thousand Americans all over Haiti. We had hooked into a ham radio network where we could keep people informed throughout the country on what was going on. They could stay in touch. We had a round-the-clock task force going. Of course the schools were closed. A lot of people had left. Q: Were U.S. military forces alerted for an evacuation? MCMANAWAY: Oh, yes. In fact we had some people from the military there. A couple of guys had been in earlier and had done their usual surveys for evacuation. They came in – the Department had sent in a satellite (TACSET) secure radio. I had one of those on my desk. In fact the Executive Secretary got upset with Elliot and me because we were doing so much of our business on TACSET. There were very few cables being sent back and forth. We were on that radio constantly, back and forth. For once, we had called it right because definitely he was going to go. I was in lunch and got [the] word. My DCM [Deputy Chief of Mission] insisted on going with me for my protection, but they wouldn’t let him in the room when I went in to see Duvalier. As I arrived at the Palace, immediately in front of me was the French ambassador. He preceded my car, in his car. He went in and saw Duvalier, then I went in. He made a little speech. The Foreign Minister was there. He made a little speech about what was good for the country and he was going to make this sacrifice to save lives and he wanted to leave as soon as possible. He wanted to leave that night. Could I get him a plane? Without any authorization I said yes. We didn’t have anything arranged. We didn’t have any policies, statements, any directions from Washington that said: “We will do it.” I had asked for a number of things. We had put on standby some jets out of Florida to come do a fly-over if we needed — Haitians are terrified of airplanes for some reason — to fly over Port-au-Prince, not to invade or anything like that. It never even occurred to us. Our concern was getting him out alive without a real horrible massacre of him and his family. If people found out he was headed to the airport, [who knew what could happen]? Trying to do it in the daytime would have been foolhardy. So Washington responded. The military responded. We had a C-141. It arrived I think about two o’clock in the morning. I told them they could take two suitcases each, that was all. They wanted to take everything. I said I needed a list of what they were taking with them. Well, it was interesting. The C-141 landed. I thought it was going to wake up the entire city. It was huge. It reversed the engines when it landed. I thought it was going to wake up everybody. At one point we got word that one of the networks had the story and was going to go with it, so we got the phones cut off. We were working with the [Haitian] military at this point. They got the phones cut off so that people in the States couldn’t call and tell people in Haiti what was going on. We had a two-hour window. The plane could only stay on the ground for two hours. We used that entire two hours to get [Duvalier’s] entourage out there. I think the plane left at 3:45 or something like that, that morning. We had set up liaison with him and with the military, General Namphy, but we lost track of him. So I woke up the Foreign Minister about three times in that early morning hour through to three o’clock and do you know what they were doing? They were partying at the Palace, a going-away party! Plus he [Duvalier] was handing out part of his weapons to the Tontons Macoutes right up to the last minute. But they finally arrived out there [at the airport]. Washington decided that we should have somebody on the plane, so we put a young lady Foreign Service officer on the plane. The French were not happy about them going there, but by then they couldn’t do anything about it and they took off.